Is your new construction a home in need of new bathroom or new kitchen drain plumbing? Perhaps it is a restaurant requiring all water lines and drain plumbing systems, or a laundromat necessitating washing machine drain plumbing and water line plumbing. From small drain plumbing construction jobs to office building construction requiring the most reliable and experienced of plumber contractors, Cape Shore Plumbing’s expert, professional new plumbing construction team completes the job within your time frame and budget. Our team of new construction plumbers coordinates with the architects and engineers to insure your new drain plumbing functions efficiently and exactly as designed. Our New Kitchen Plumbing Service Rocks! The last thing any new homeowner wants is faulty drain plumbing in new kitchen construction. 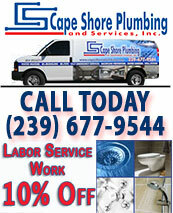 Typically most drain plumbing is obscured behind walls or under floors where inferior, shoddy work is easily hidden. That is why you want Cape Shore’s dependable, professional plumber contractor team installing your new kitchen drain plumbing, including water lines, appliance drain pipes and washing machine drain. 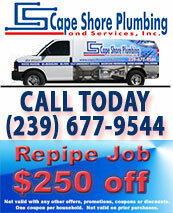 When you choose Cape Shore Plumbing as your new kitchen plumber contractor, you can rest assured that the plumbing needs for your new kitchen or bath will be fully met. Our reliable, experienced new kitchen installation team assesses your new kitchen water supply and drain plumbing requirements, and installs the proper sized piping and fixtures to efficiently manage your family’s plumbing needs. 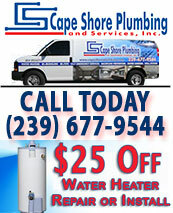 Whether your construction is a new kitchen, new bathroom, or new laundry room requiring washing machine drain plumbing, Cape Shore Plumbing is SWFL’s first choice in plumber contractors. When a new kitchen, bath or other construction is on your dream list, call Cape Shore Plumbing at (239) 677-9544 to discuss how we can help make your dream come true.